difficult work we do on behalf of voiceless animals every day. We showed the spectators that veganism can be fun, welcoming, and diverse. 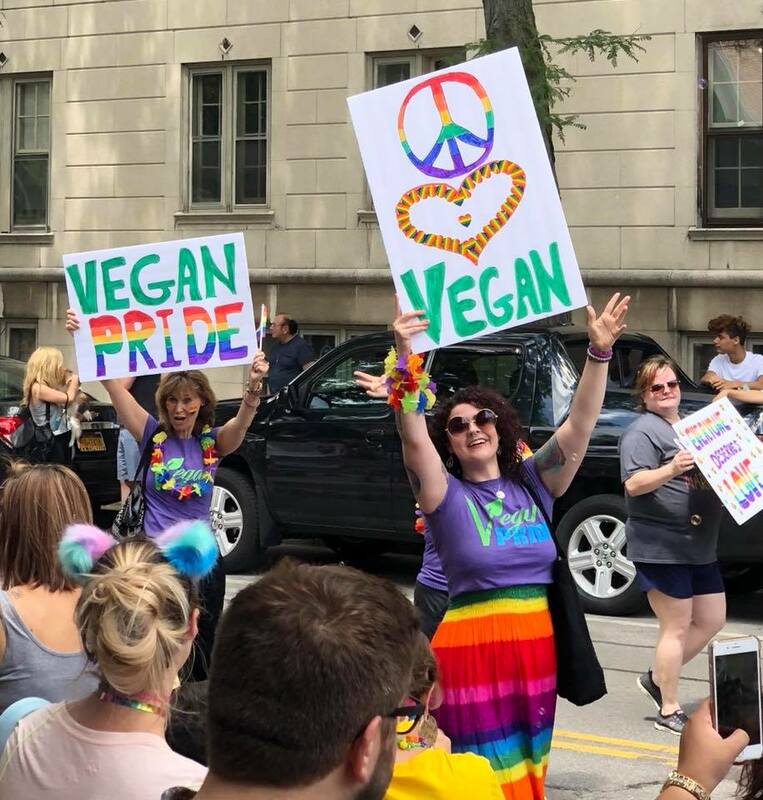 Thanks go to all of our marchers, Jessica, Lisa, Joanie, Deb K, Christine, Carol, Katie, Shelby, Debora S. and Tia, (who carried the banner the whole way! ), and Beth and Bubbie for planning it out. Additional thanks to Darren, for modifying the banner to make it easier to carry, and to Rob for getting our T-shirts done in record time! Plans are already in place for next year – hope we can make it even bigger and better!